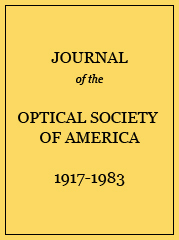 A microscope objective with (small) central obstruction of aperture and small wave-front deformation has a loss of amplitude at the center of the Airy disk which may be expressed in terms of losses due to spherical aberration, coma, and central obstruction. These losses are essentially independent; the net loss is the sum of the separate losses. Data are presented from which these losses for Schwarzschild spherical mirror systems of high initial magnification may be computed. It is shown that for visible or ultraviolet light and for numerical apertures greater than about 0.5, the net loss of central amplitude becomes excessive unless the object field is restricted to an extraordinarily small diameter. The numerical aperture at which such restriction of the field is necessary may be increased if the initial magnification is made small, e.g., about 8×, as is possible and convenient for infrared microspectroscopy. Third-order estimates of offense against the sine condition are less than computed values. The ratio by which actual comatic wave-front deformation is greater than the predicted value is equal to the ratio of the computed value of [ ( B 1 + 1.2 B 2 ) 2 + 0.06 B 2 2 ] 1 2 divided by the predicted value of B1 This ratio is tabulated as computed/predicted. For a given value of Q, the ratio should approximately fit the form: computed/predicted=1+D(NA)2, where D is a constant dependent on Q, and increasing as Q increases.